by pamlloydsite.In Business to Business, Business to Consumer, Content Creation, Media Relations, Social. PamLloyd PR has been appointed by The Tomato Stall to promote its wonderful selection of Isle of Wight tomatoes to trade and consumer audiences.  With the Tomato Stall marketing team, PamLloyd will be talking tomatoes and sharing the business story with the hospitality industry and consumer media. The competition for share of voice is stiff. Italian tomatoes are still very competitive and widely available. The Dutch are also raising their tomato growing game. And for many chefs hyper local supply is also very attractive during July and August. In its favour, The Tomato Stall has developed a strong reputation for the excellent taste, range and availability of its UK grown tomatoes. The company has an encyclopedic knowledge of varieties and is always bringing new choices to market that are unavailable anywhere else. PamLloyd PR is supporting The Tomato Stall with content creation (like the image above), recipe development, media relations and talking to chefs to encourage product trial.